Sonoma Valley is the birthplace of the California wine industry and often called The Valley of the Moon. 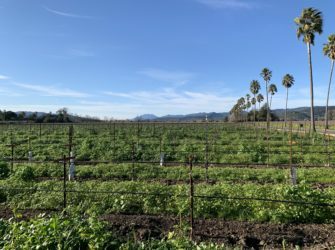 Sonoma Valley is home to some of the earliest vineyards and wineries in the state, some of which survived the phylloxera epidemic of the 1870s and the impact of Prohibition. For over a century, five generations of the Kunde family have farmed the 1,850-acre estate in Sonoma Valley. Their elegant, estate-grown, sustainably farmed wines are beautifully balanced. 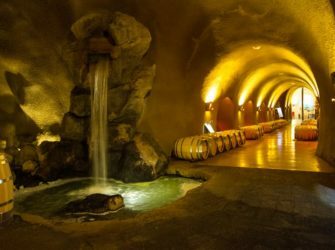 As part of this special package, your group will enjoy a tour of the Kunde Family Estate wine cave and a tasting of their impeccable wines. Emerging out of acres of rolling vineyards and pastoral calm, Ledson’s castle is a 16,000 square foot French Normandy winery with sweeping staircases, marble fireplaces, and hand-crafted tasting bars. After a tasting of Ledson Winery wines, this Sonoma Wine Tour package includes a visit to their Gourmet Marketplace for a delicious lunch. Enjoy a taste of Italy at this family-run winery in beautiful Sonoma Valley. Everything about VJB exudes Old World charm. Enjoy a tasting of their small production Italian varietals. Afterwards, browse the marketplace for Italian specialty goods or some of Maria’s homemade sauces and pestos and finish your visit by purchasing a treat from the onsite chocolate and gelato shop. The Lodge at Sonoma provides a chic retreat amid California’s breathtaking wine country. Situated within walking distance of the quaint shops and world-class restaurants of Sonoma Plaza, the hotel offers rustic-chic guest room and resort-style amenities including a modern gym with yoga classes, a heated pool, beauty and wellness therapies, and award-wining restaurants. 2019 Blackout Dates: May 23-28, Jun 20-24, and weekends in September and October; Thanksgiving, Christmas and New Year’s weeks, and weekend dates in September and October. Weekdays in Harvest Season (Sep/Oct) are extremely limited and may be subject to an additional charge. Additional blackout dates may apply. *Wineries are subject to change based on availability and gratuity for tours and tastings are not included. This auction item must be booked a minimum of 60 days in advance and is subject to availability. Reservations are subject to availability and hotel may be substituted for comparable or better property. 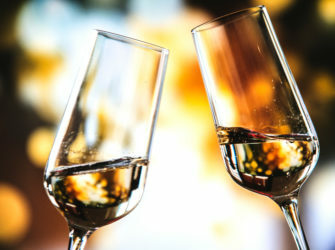 Wineries are subject to change based on availability and may be substituted for similar winery and tour. Certificates cannot be replaced if lost, stolen or destroyed. All purchases are non-refundable. Packages cannot be resold and must be redeemed within one year from date of purchase. Ground transportation is not included unless where specified. Gratuity at wineries are not included.